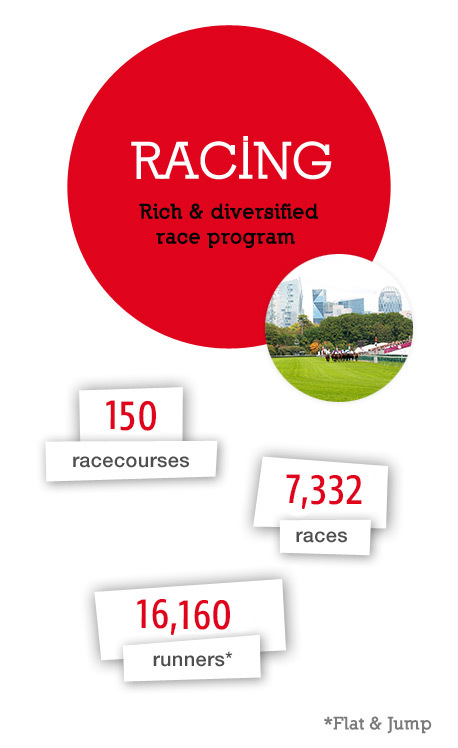 France offers a rich and diversified racing programme. With over 155 racecourses (plus another 100 reserved for trotting), the Hexagon boasts the highest number of racecourses in Europe. From legendary courses to an extensive network of provincial tracks there is something for participants at every level whether on the flat or over jumps.